I love featuring other authors on my blog- there are so many brilliant books out there to read- and so many fascinating writers behind them. Today I’m delighted to welcome Caroline James for a cuppa and a chat about her latest novel. Enormous thanks for hosting me and my new book Jenny, I’m thrilled to be on your lovely blog. 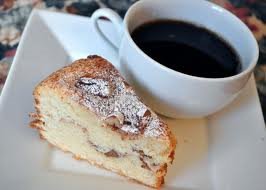 What inspired you to write Coffee, Tea, The Caribbean & Me? I read an article that stated that one in three people over the age of fifty, in the UK, live on their own. It hooked me and I started to research. I soon found that are great many fifty plus people who are on their own through a partner’s death, divorce, separation and of course, choice, and many of them don’t cope too well. For example, thirty years of marriage comes to an end – how do you get back in the groove? Or your partner dies and you don’t know how to begin life as a single? I decided to write a book that covered these issues and chose my two favourite characters to lead the way. Jo and Hattie came from a previous book, set in the 1980s, and were perfect as they fitted the age category now and I worked them into the story as single friends who are beginning again when they suddenly find themselves on their own. I model characters from experiences I’ve had with people over the years and then make it all up. My books often feature the hospitality industry and that’s something I know well having worked in it for most of my life. It’s a fantastic environment to find characters. I represented several celebrity chefs for a number of years and have been tempted to use some of the weird and whacky situations I’ve found myself in but I think readers might find some of the things that happened a little far-fetched! Most research can be done on the internet; how lucky we are as writers today. But I like to immerse myself in the surroundings I write about. 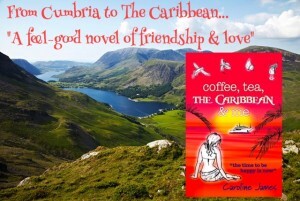 Coffee, Tea, The Caribbean & Me is set in Cumbria and Barbados – both places where I have spent a considerable amount of time and both destinations that inspired me to let my characters roam free. The chef in me would want to have the late, great Keith Floyd along. I’m sure he liven up any dull moments and keep us all slightly sozzled with a good supply of booze, while he cooked something scrumptious. Bear Grylls would ensure we survived and bring some adventure to the island, as well as a decent supply of fresh fodder for Keith to cook. Finally, I’d like Oscar Wilde to lounge beside me with a constant drip-feed of delicious literary quips. I soon realized that the book has the potential to become part of a series. It is the sequel to my debut book, Coffee Tea The Gypsy & Me and although a stand-alone read, it incorporates characters from my previous books including: So, You Think You’re A Celebrity…Chef? and when I bring them into the next book it is like meeting up with old friends. Two of my favourite authors, Maeve Binchy and Mary Wesley did this with their writing and, subconsciously, I seem to be doing it with mine. Caroline James was born in Cheshire and wanted to be a writer from an early age. She trained, however, in the catering trade and worked and travelled both at home and abroad. Caroline’s debut novel, Coffee, Tea, The Gypsy & Me shot to #3 on Amazon and was E-book of the Week in The Sun newspaper. Her second novel, So, You Think You’re A Celebrity… Chef? 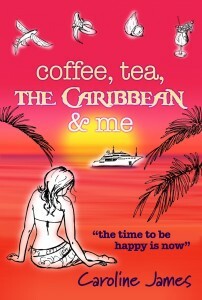 has been described as wickedly funny: ‘AbFab meets MasterChef in a Soap…’ The manuscript for Coffee, Tea, The Caribbean & Me was a Finalist at The Write Stuff, London Book Fair 2015 and the judge’s comments included: “Caroline is a natural story-teller with a gift for humour in her writing.” Her next novel, Coffee, Tea, The Boomers & Me will be published autumn 2016. Caroline has owned and run many catering related businesses and cookery is a passion alongside her writing, combining the two with her love of the hospitality industry and romantic fiction. As a media agent, Caroline represented many well-known chefs and is currently writing a TV script and accompanying book about the life of a celebrity chef. 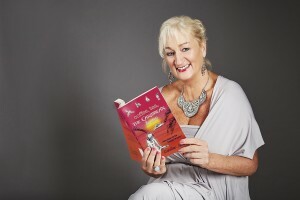 She has published short stories and is a member of the RNA. Caroline writes articles on food and celebrity based interviews and is Feature Editor for an online lifestyle magazine. When she’s not running her hospitality business and writing, Caroline can generally be found with her nose in a book and her hand in a box of chocolates, she also likes to climb mountains and contemplate life. Many thanks for such a great interview Caroline.